Life is a journey, wear comfortable shoes! SAS Shoes has wonderful sayings on their website. 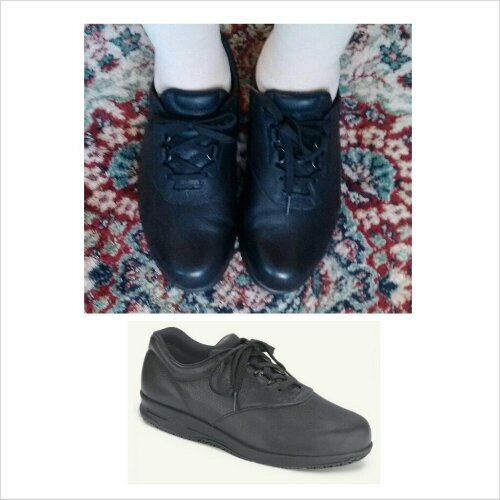 Carol took a drive up to Dunkirk, MD to find her shoes at Hessing and CO. Carol’s walking shoes are black leather tie shoe. The style is Liberty and are slip resistant. Carol said her shoes look like nun shoes.